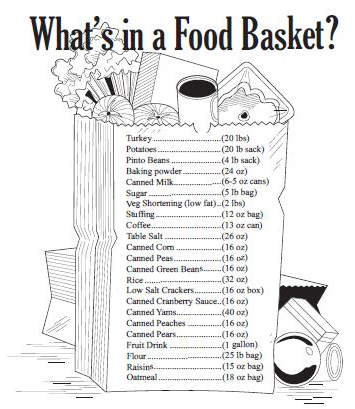 Thank you for your interest in our Christmas Food Basket drive! Did you know we have a wonderful element to the program that can make it even more special?". 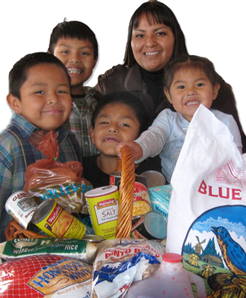 With each Food Basket that you purchase we will send you one of our beautiful Southwest Indian Foundation Christmas Cards along with an envelope and Certificate you can fill out and send to a friend or relative, informing them you have made this wonderful donation in their name! But even if you can't afford an entire Food Basket - please, whatever you can afford will be a Godsend. 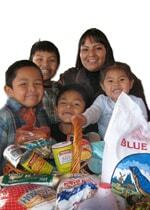 Every dollar means a little more food for some poor Native American family.